Kingsley Bartholomew has been one of the more significant punters in the Australian wagering marketplace for 15 years now. He’s deeply concerned about the future of the industry – and what it means for punters – in the face of proposed new tax models. He has written an interesting open letter to the CEO’s of Racing Victoria and Racing Queensland. My name is Kingsley Bartholomew. I have been a punter on Australian horse racing for 15 years. My turnover in that time has been significant. I’m compelled to write to you due to the parlous current state of the wagering industry. I believe the bookmaker tax model you plan to introduce will be the tipping point. An immediate decline in fixed odds turnover – followed by a gradual decline in pari-mutual turnover. Less competitive and higher percentage markets being offered by bookmakers. Bookmakers will no longer be willing to manage or accommodate low-profit margin or winning clients. Corporate bookmakers will become more stringent in the closing and restricting of accounts. Under the RVL model, bookmakers will be willing to take less risk, as they do not want their profit/loss swings to be too volatile. Reduced risk equals reduced turnover. The 15-30% gross profit per meeting rule is one of the greatest ways to suppress the marketplace. Bookmakers will head offshore where they can offer far more competitive markets in an unregulated environment. The majority of corporate bookmakers headed to the Northern Territory in the 2000’s for this reason – we must make sure the same mistake is not made twice. On-course bookmakers will become non-existent, apart from major carnival days. The majority of corporate bookmakers will only service small, recreation punters. Pari-mutual pools will decrease gradually due to the lack of stimulation in the marketplace. Both bookmakers and punters will look to other forms of gambling, as Australian horse racing becomes no longer viable. All states should adopt Racing NSW’s current taxation model. A 50% reduction of this fee should apply for all on-course bookmakers. 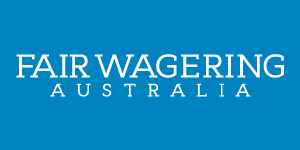 On-course bookmakers are the lifeblood of the wagering industry in Australia. They are currently being left to die – I believe we will only realise how important they were to the industry when they’re gone. State regulatory bodies work together to adopt a federal law where corporate bookmakers per bet risk limits are introduced. It’s absurd that the corporate bookmakers landscape in Australia is made up primarily of foreign owned companies who are virtually able to ‘write their own rules’ when it comes to accepting, declining or cancelling bets. Ban the closure of accounts by corporate bookmakers. In the UK bookmakers are not obliged to accept bets from anyone. As a result of this unfair marketplace, Betfair now dominates the market and their racing industry is in dire straits. In the past the Australian gambling marketplace has always prided itself on fairness and integrity, this sadly is no longer the case. Bookmakers have always been granted licenses to provide a market (with a percentage in their favour) to all punters – not to find, prey on, and exploit losing gamblers. The online industry has morphed into the latter. Create state of the art ‘betting pavilions’ at major racetracks in Sydney and Melbourne where punters have access to personalised computers with high speed internet, database access, custom designed betting applications, TAB incentives, etc. Tax bookmakers higher on non-fixed odds bets (tote derivatives). This would have a much lower impact on turnover levels, as bookmakers would find it much easier to adjust their betting models. This would also provide less competition to pari-mutual pools. Reducing pari-mutual takeout and allowing bookmakers to only offer a fixed odds product. I believe we would then be left with the best of both worlds. A vibrant fixed odds market where bookmakers are not continually trying to undercut the TAB, and a competitive pari-mutual with larger pools. Even in Hong Kong – with no fixed odds bookmakers – the government has realised that a 10% rebate is needed to ensure the long-term future of their racing. A taxation model that includes a tax reduction for bookmakers whose average bet size is high. Bookmakers should be encouraged to accept larger bets – but they are reluctant to – not only because their risk is greater, but also because their profit margin is a lot lower. I believe the first question you need to ask yourself when making a decision concerning the wagering landscape is – will the proposed change increase or decrease turnover? If the answer is decrease, it’s the wrong move. I implore you to give careful consideration to my thoughts. Punters generally, are bewildered at the quickly vanishing integrity of the marketplace. There’s a strong feeling that we’ve simply become fodder for the industry – we have no rights and no voice. If smarts and ingenuity is not nurtured and rewarded by the racing industry, punters will have no choice but to invest elsewhere.